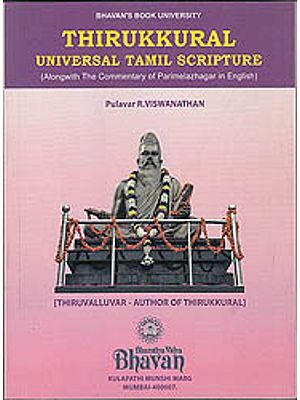 The Tamil literary tradition is an ancient one, thought to span more than two thousand years. This collection attempts to bring together some of its best-loved works, both ancient and modern. The story of Jivaka is taken from the Jivaka Chintamani. That, along with Ilango Adigal's Silappadikaram, from which the story of Kannagi has been adapted, are considered part of the five epics of the Tamil language. . The epic poets write of a time when Jainism, Buddhism and Hinduism flourished amicably together. The works of art of this period combine the philosophies of all three religions, exploring the nature of wisdom, of bravery, and of love. The Adventures of Pratapan is adapted from Vedanayakam Pillai's 1879 book, Pratapa Mudaliar Charitram, the first novel to be written in Tamil - as the epics are in verse, not prose. Manonmani is from the 19th century play, Manomaniyam, by Sundaram Pillai. Kattiyangaran, the treacherous minister of Hemangada, kills the royal family and usurps the throne. Queen Vijaya escapes the slaughter. She gives birth to a son and puts his father's royal ring upon his finger. The child grows up to be Prince Jivaka. Jivaka has many adventures and regains the throne. But the core of the book becomes. apparent when, at the end of the story, a weary Jivaka decides to renounce his kingdom and become a Jain monk. The story is taken from Jivaka Chintamani, an epic poem in Tamil. It was written by a young Jain monk, Tirutakkatevar, and is considered one of the classics of Sangam literature (300 BC - 300 AD). Life is unfair: the virtuous Kannagi deserves a loving husband but selfish beauties and foolish kings combine to rob her of happiness. Her patience snaps eventually. Pure in her love this gentle woman is transformed into an avenging angel raining death and doom on all her foes until the gods are forced to intervene. Ilango Adigal’s Tamil classic Shilappadikaram present life with all its flaws but also with hope. Kumanan is thought to have ruled around the first century AD, during the Sangam age. Our knowledge of Kumanan comes from a poetry collection of the time, the Purananooru. In it, the Sangam poets, Peruchithiranar and Peruthalaichattanar, write of him with love and admiration. Kumanan encouraged and patronised all art forms. He was known to be a just and caring ruler. The Adventures of Pratapan is adapted from Pratapa Mudaliar Charitram the first novel to be written in Tamil. Till that time, Tamil literature consisted only of poetry. Written in 1879 by Mayuram Vedanayakam Pillai, the story begins with the hero, Pratapan, being completely in love with Jnanam, a woman of great beauty and strength of will. Jnanam returns his feelings. Unfortunately their happiness is marred by the constant bickering of their fathers. The couple is separated and one day, Jnanam goes missing. Vedanayakam Pillai, influenced by the ideas of women's liberation and secularism, has created a strong female character in Jnanam. The story of Manomani is taken from the pioneering play Manonmaniyam written by the playwright Sundaram pillai in the 19th century. Though Tamil literature had a rich heritage of poetry and prose it surprisingly had no plays till Sunaram pillai a great admirer of Shakespeare first introduced it as a literary form. Manomani is the story of a princess who find love in the middle of a web of political intrigue and betrayals.